The Wasserman Library at Temple Reyim is dedicated to supporting congregants in their Jewish learning and their lives. This volunteer Library is currently undergoing a renewal of its web-site and catalog. In the future, you will be able to search the catalog from home and access online resources through links on the Library website. The Library aims to provide books and links to enhance the interests of our members. The collection of over 3,000 books, CD’s includes a large section for children of all ages has many picture books, biography, Israel, history, holiday, fiction and Hebrew books. 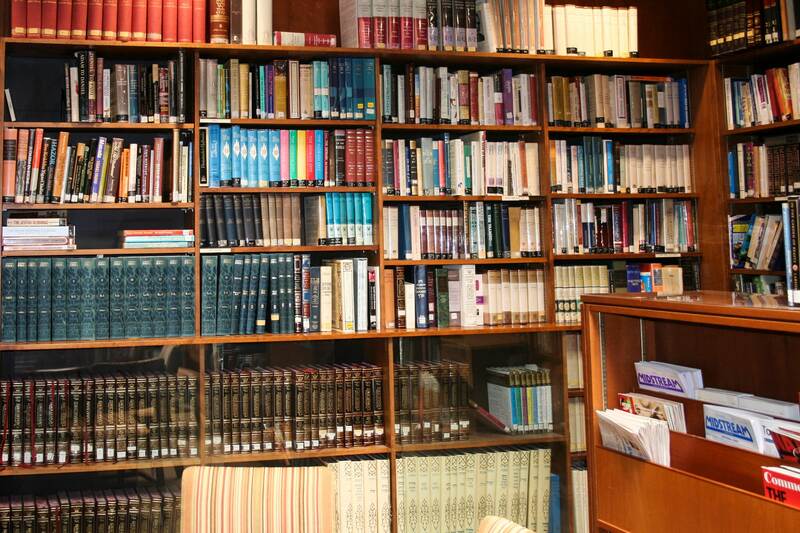 The reference section contains many biblical and rabbinic texts and commentaries, both ancient and contemporary, which enhance our many classes and courses and help our students to prepare with the Rabbi for their B’nei Mitzvah. The fiction section contains many masters of American and Israeli literature. Cookbooks, history, parenting, life-cycle, art and holiday books are available as are books about Israel. Jewish newspapers and periodicals such as The Jerusalem Post, The Forward, Jerusalem Report, Commentary, Tikkun and Lilith are available for browsing. Click here to visit the Temple Reyim Wasserman Library website.